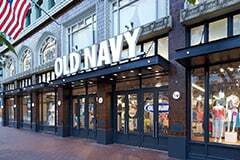 Let men's jeans from Old Navy add substance and appeal to your wardrobe. Fashionable and practical, our selection of men's jeans provide simple style that is easily dressed up or down. Find a number of options in our men's jeans collection that really allow you to take notice. With popular loose-fit, painter, boot-cut, straight-leg and regular-fit men's jeans, how could you resist? Get the best in style and comfort with Old Navy men's jeans.